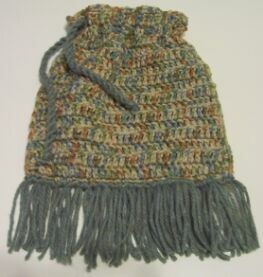 This crochet drawstring purse is based on a beginner's design that is perfect for anyone who is just learning to crochet. 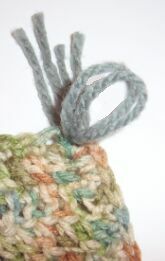 If you want something attractive yet easy to make, give this crochet drawstring purse a try. Row 1 - Skip 1st 3 chains (counts as 1st dc of next row). Dc in 4th ch from hook. Dc in each remaining chain. 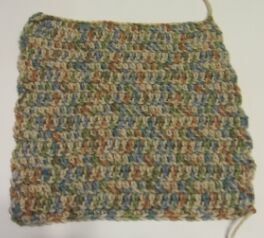 Row 2 - Ch 3, turn. Dc in each dc across. Rows 3 thru 17 - Repeat Row 2. Repeat instructions to make a second piece. 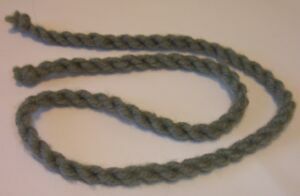 Cut 3 strands of yarn 4 yards long. 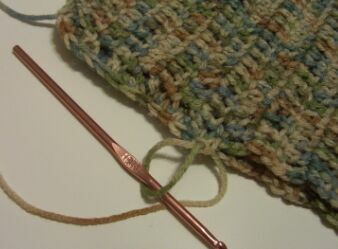 Fold in half and knot the ends together. Place the folded end over a secured hook, nail, or screw. 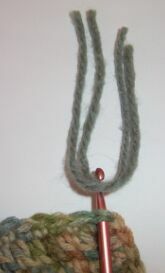 Put your finger or a pencil through the other end and twist the yarn. When yarn is tightly twisted, and while holding the yarn taut, remove your finger or pencil and fold the length of twisted yarn in half. Release the folded end little by little, allow it to automatically spring into a twisted cord. 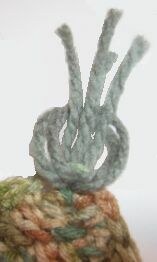 Tie each of the ends in a knot. 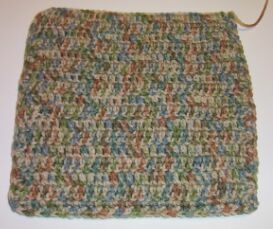 Weave the drawstring along the second row from the top, in and out of every two dc. 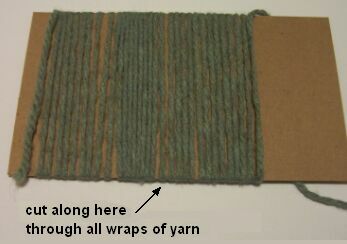 Wrap a single strand of yarn 68 times around a 4-inch piece of cardboard. Cut along one edge (see figure below). 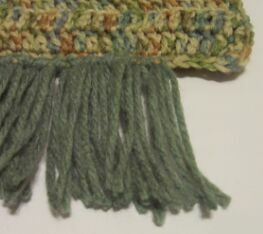 Place two strands of fringe together. 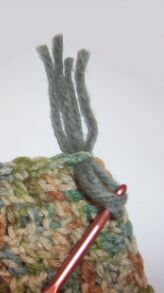 Using a crochet hook, draw them through the sc at one bottom corner. Repeat in each sc all across the bottom of the purse.